France. Paris elevated view from Notre dame cathedral. 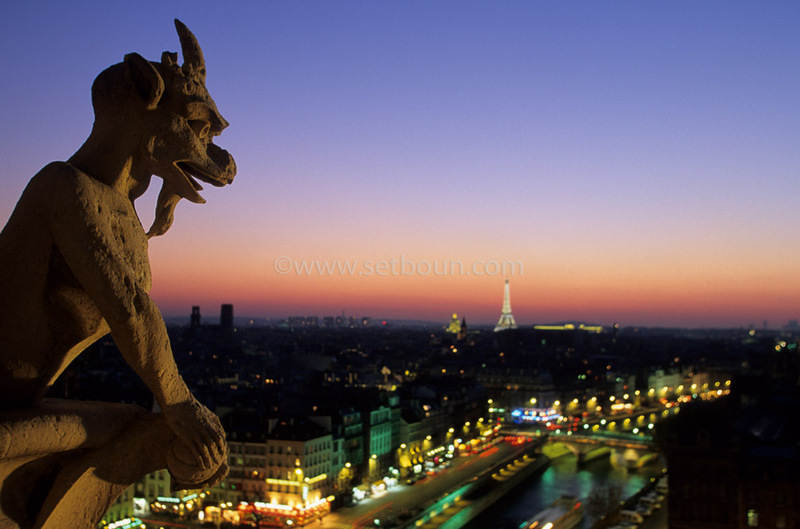 the styrge gargoyls overlooking paris at night, Chimera gallery of Notre dame cathedral and the Seine river.